Toleration? Toleration means that, I think that you are wrong and I am just allowing you to live. Is it not a blasphemy to think that you and I are allowing others to live? principles which never become obsolete. These principles have an appeal to the human mind and are applicable to human life under all conditions. 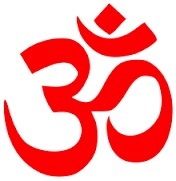 The original Vedic texts collected and classified under four distinct headings constitute the four Vedas, from which the religio-philosophical system known as hinduism is derived. The four Vedas are Rigveda,Samveda, Yajurveda and Atharvaveda. (karma kanda and gnana kanda). The work section of the Vedas is devoted to man`s active life, to his search for temporal values, and dwells on the development of life in different stages. In the secular approach to life, one cannot get beyond the cycle of birth, death, and rebirth. Anything that is done for temporal purposes in this world comes under the work section, which is preparatory to the knowledge section. The purpose of the knowledge section is to take man out of this temporary order and establish him in eternal life, absolute peace and blessedness; to take him away from the cycle of birth and death. There is a unity of purpose between the two sections, for both intend to lead man from the search for the transitory to the search for the eternal. In the Vedantic view, there is no inherent contradiction, no unbridgeable gulf, between the secular life devoted to temporal values, and the spiritual life devoted to eternal truths. Being rightly directed, the one leads to the other. According to Vedanta, wordly desires well regulated by ethical principles invariably lead to spiritual awakening. 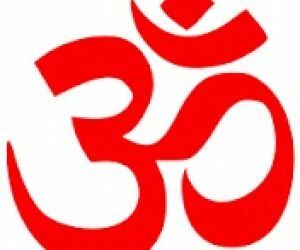 As laid down in the Vedic social codes, the one universal duty of all human beings, irrespective of religious views, social rank, cultural standing, or political status, is the observance of virtue, or Dharma. The word Dharma means "that which upholds." It denotes particularly the "Law or Principle that upholds the world." Dharma is that which leads to the attainment of happiness and prosperity in this world. It is through Dharma that man can have progress in the true sense, development in the true sense, and achievement and well-being in all fields. whatever you like; the one condition Vedanta imposes is that under no circumstances should one deviate from the path of virtue. "Virtue protects him who protects her. From virtue arises happiness.Virtue is the only friend that accompanies man beyond death." Virtue is the stable basis of every aspect of individual and collective life. A man`s physical, intellectual, aesthetic, as well as spiritual well-being rests on the observance of virtue. Moral conduct sustains man`s inner nature. Unless you observe moral principles - truthfulness, sincerity, charity, modesty etc.- you cannot maintain soundness of mind. Your judgment will not be right. Vedanta firmly emphasizes that the one secret of mental health is adherence to moral principles. If you want to maintain soundness of mind and live the right kind of life, you must observe morality.This is fundamental. You may gain anything you desire, any transitory pleasure in this world, but you will never be satisfied completely. One cannot have youth only and not old age, light only and no darkness, good only and no evil. We cannot get out of this world of dual experience. In this world there will always be birth and death, growth and decay, construction and destruction; that is the nature of the world. The basic condition of the world does not change. Eventually a person becomes convinced that there is no assurance of security in the temporal order, no prospect of unalloyed joy in this relative universe characterised by a playground of dualities. Eventually one becomes convinced that the Supreme Being alone is eternal, all-free, all-perfect; while all else is short lived, bound and imperfect. Vedanta says there is one Supreme Being who alone is beyond all sorrows, beyond all sufferings, who alone is ever pure, free, immortal - the very perfection of existence. And that Supreme being is not far away from us. He is the all pervading Self of the universe, and dwells within us as the inmost Self of all. To recognise and achieve one`s essential unity with the Supreme Being is the ultimate goal of life. As Swami Vivekananda says,"Religion is the constitutional necessity of mankind. Dharma is that which ultimately leads man to his real nature and the Supreme Goal. Vedanta says the basic truth of all religion is to hold firmly to virtue, to moral life. Then regardless of what path you choose, it will inevitably lead you to spiritual life and the Supreme Goal.